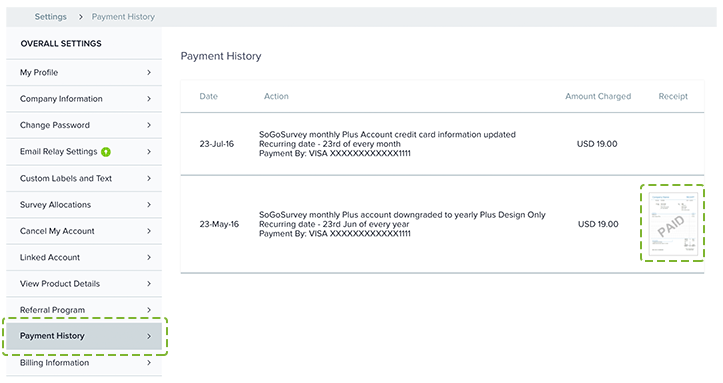 Select Payment History from the menu on the left. Click on the receipt image and a new window with the payment receipt will open. You may view or print the receipt directly if needed.